I really cannot even begin to explain the transformation that Macy underwent during her time with Megan. I would have never have guessed something like this would have even been possible for my dog. When I initially contacted Megan, Macy was on her last straw with me – she completely chewed my bedroom door frame off (AFTER a 2 hour walk). I had no idea what the problem was or even where to begin to try and fix it. Alls I know is that Midway Dog Academy came so highly recommended to me by my co-worker that I was willing to give it a try. And after 2 1/2 weeks with Megan, I can absolutely understand why my co-worker recommended her. Macy is like a new dog (cliche, I know) but it is the truth. She’s confident, a million times calmer, focused, and just a happier dog. Thank you again for saving my girl. Cookie is a 4 year old Pit bull terrier that I adopted 2 years ago from my local shelter. I really didn’t know much about her past, but I assume she was mistreated and maybe abused since she was scared of men, things that moved too fast near her (like our broom), and other weird triggers. I wanted her to relax and be apart of our family, but no matter what my husband and I tried, nothing seemed to make her feel at home with us. My husband insisted that we get professional help because neither of us has ever owned a dog before. We found Megan after much research and internet searching and we are SO HAPPY that we trusted our gut and went with her. She wasn’t the cheapest option, but boy oh boy did she help our sweet baby. Cookie is happier, more relaxed, and most importantly more trusting of us. We know her confidence will continue to flourish with more passing time, and even as I write this – she is relaxed, snoozing in her dog bed as my husband vacuums past her – that before would have never have happened. 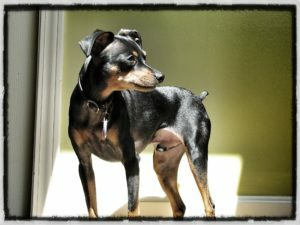 I got my first dog Louis (a min pin) seven and a half years ago when he was eight weeks old. Living in NYC at the time, with very limited space, I didn’t think it was a good idea to get a large dog, so I started small…super small. I took him to work with me every day and of course everyone loved playing with him, feeding him, picking him to carry him around, and overall just spoiling him. We should have gone through training then, but I thought, “He’s just so small, how much trouble can he really be?” I didn’t realize at the time that collectively, we were all ruining this dog. Everything he did was “just so cute,” it was difficult to discipline or be annoyed by him. I eventually moved from NYC to Fredericksburg, Virginia; where I was unable to bring him to work with me or keep an eye on him all day. Behavior that was once “cute and funny” became worse, and five and a half years in, I couldn’t take it any more. The incessant barking at any foreign noise, instantly going into “attack mode” at the sight or sound of another dog, jumping all over the place while on a leash…I couldn’t let it continue. I spent thousands of dollars on training books and manuals, and in-house training for half a year with a local trainer – absolutely nothing was working. Giving Louis up was never an option, so all I could do was keep looking for the right fit. That’s when I found Midway Dog Academy. I scheduled training for two weeks. I was skeptical because every training I’d put him through before never produced results. When I went to pick Louis up after two weeks, I couldn’t believe that was my dog. I stood there watching in amazement as they took him off his leash and he didn’t bolt! Two weeks, and it was like a miracle had taken place. Louis was calm, centered and focused. It’s been nearly 6 months since Louis was with Megan and things are absolutely GREAT. The training both Louis and I received from her has been invaluable. Our lives have been changed in such a positive way; words cannot possibly express our gratitude. That really IS my dog, and I couldn’t be prouder. I adopted a one year old Border Collie/Labrador named Hope. She had lived on the streets for the first six months of her life and then in a shelter for the other six. She had no training at all and like all puppies had more energy for mischief then I could keep up with. Hope, my new mischief maker, was wonderful at soiling indoors, chewing on everything including people, jumping on everything including people and had the idea that it was playtime all the time. I found information on the internet about a board and train school and thought this just might work. Megan was GREAT and I was leaving for vacation and she was willing to take her a week early to help me out. How was in training for just about two weeks. When I went to pick her up and learn how to keep up with her training, I brought my mom and sister-in-law with me. We were amazed. She was like a totally different dog. She actually LISTENED! I was in shock. She did everything we asked her to do with the smallest amount of communication. She even listened to me off her leash. After bringing her home, she has continued to amaze me. She has not once soiled indoors since training. She is much better at chewing only her toys. I can take her outside with no leash and she will play in the yard without running off. She walks three miles a day and though she is on a leash, she rarely pulls. She still has LOTS of energy but at least now it’s controllable. I no longer stress at bringing her around others. She is a perfect lady. I would recommend Midway Dog Academy to everyone. It’s totally worth it!!! 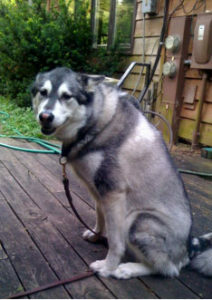 I adopted a 105 pound Alaskan malamute in 2005. 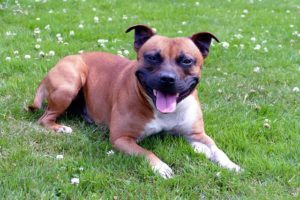 The dog was the runt of the litter, and as such, possessed a wide range of behavioral issues. We contacted Megan based on another trainer’s recommendation. 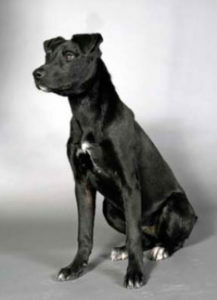 She was very clear about what I could expect from the training, and what was unobtainable given the breed. I valued this honesty over a lot of trainers I’ve spoken with claiming they can make any dog into Lassie. 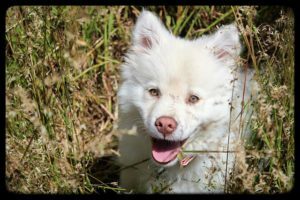 I had no desire to “break” my dog, only make both of our lives better by lowering her aggression toward other dogs and small animals. Megan was also very clear that there was no set “program” for every dog, and different dogs will require different attention. 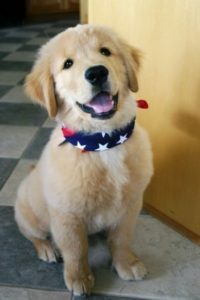 As such, Megan worked with my dog for longer than she originally anticipated (no charge) to get her to a level that she was comfortable with before sending Jaka home. The training methods, charges, and anticipated results were all very clear up front. I find this to be as important as the end result of the training, which was above and beyond what we thought, could be done. Our quality of life is markedly better. The investment made into my dog has been well worth it, and I recommend at Megan’s training without reservation. 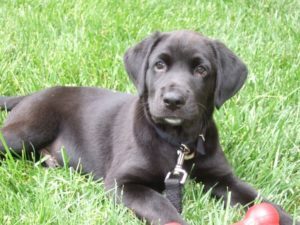 Thank you so much for being our “rock star” puppy trainer for the 10 days that Moose was with you. We learned as much as Moose did! You opened our eyes SO much and showed us HOW to raise the best puppy possible! Thank you again for all the work you did with Moose and thanks a million for spending the time to show us how to continue the balanced lifestyle that you showed Moose! It’s been almost a year since he stayed with you for his puppy training and he is STILL showing off to us. We absolutely would never have guessed that we could be 100% completely happy with a puppy muchness now a young, adolescent retriever!!! We owe it all to you for getting him started on the right track and teaching us how to continue to lead him in the right direction. Just thought I’d let you know that we had a lot of fun with Duke since he has gotten home from doing the Puppy Program with you. He really learned a lot of useful commands, or I should say that we learned them!! You really have a wonderful, calm way about handling dogs, and it shows. I know Duke loved spending that much time with you, I‘m sure he didn‘t want to leave you or your 2 dogs – Bronx and Tyson. I should also thank you for all the good advise you gave us about dog food, schedules, and toys for him. Since Duke is our first dog we were pretty clueless about everything and it’s nice to talk to someone with a lot of experience and knowledge about dogs. We will continue working with Duke on his commands and all of the other training you provided him and us with. We look forward to boarding him with you when we go to Disney World this fall. I know Duke is looking forward to coming back to his second home! My husband and I adopted Shadow last Spring from a shelter that knew nothing about her previous lifestyle. The shelter had done some testing with her to see what she’s ok with and what she’s not ok with. They told us that she seemed to be not completely comfortable around children, but with some time that she’d be okay. So we took her home and she did gradually become more comfortable with our 3 children. However, she has never been okay with any other kids coming in or even adults. So my husband and I decided that it was time to find someone who knows how to deal with dogs that are like this. Shadow spent 2 weeks with Megan doing a board and train. 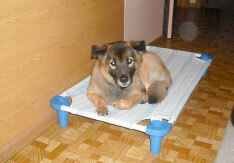 Now, initially we were not crazy about the board and train idea since she already knew her obedience skills. But Megan explained to us in order for her unwanted and unsafe behavior to change that her foundation obedience would also have to be rock solid. She also explained that what we as humans perceive as an occasional pulling on the leash or not listening, is a way that dogs practice and exercise dominance over the owners in a subtle way. We’ve had Shadow back home now for over 2 months and she has been WONDERFUL. She gets on her spot ( her place board) when we tell her, there’s ZERO pulling on the leash, and we can completely see how she looks to us now for direction. Before, she would get uncomfortable and try to control the situation herself because she didn’t think we could do it. And now- it’s completely changed! I highly recommend using Megan to help with problems your dog is experiencing. It’s taught us so much about Shadow that we never even thought of would be possible! 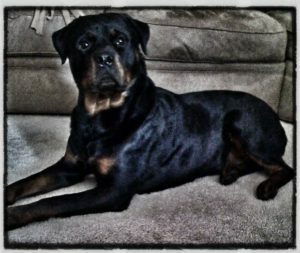 First of all, let me thank Megan for what a great job she did with my Rottweiler, Blu. I went to visit Megan one night and she had her dogs outside with no leashes. I told her she was really brave to do that considering it was dark and she had a Bulldog and Pit bull who LOVE to run. The last time I took my dog off leash he ran away from me at 3am and I ended up chasing him around in my PJs diving to the ground to try and catch him. Now that he is trained, that isn’t the case anymore. He can go outside without a leash, go for walks without pulling, and goes on his placeboard when I give him the command. He doesn’t run away from me anymore; instead he looks to me for guidance and direction. Thanks again, it makes a HUGE difference! Our dog Reilly was having some major problems. She had begun growling at younger children, ignoring commands, and developed an overall nervous and wild demeanor. We thought at this point there was no way to fix her behavior (she had just turned 7 years old). We brought her out to Megan and she stayed for 14 days. It was hard to let her be away from us but upon picking her up we realized we made the best decision in the world for her. She was like a new dog and I am not exaggerating. She finally LOOKED at us when given commands and seemed extremely happy and calm. We had not seen her be like this in almost 2 years. Megan never once raised her voice with her or got aggressive when giving us a demonstration on some commands to work with her on, which I really liked. She has a natural way with dogs and is amazing with this craft. I would recommend her to anyone who is having any kind of recurring issues with their dogs. Reilly is still doing wonderfully 4 months later and Megan will still check in occasionally with us to see how she is doing. She is also available for support if we have any questions regarding her behavior. 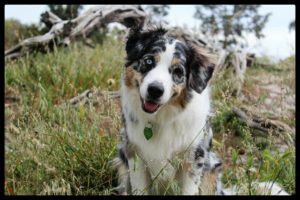 She offers a great program geared not only toward the dogs, but their owners as well.